The wait is finally over! Fall Out Boy’s new album – their 6th – is out today, and it’s something all of their fans can enjoy. American Beauty / American Psycho has a similar sounds to the band’s previous album, 2013’s Save Rock And Roll, but there’s also the feeling of old school Fall Out Boy in there too. It’s not all stadium-ready and radio-friendly pop; the band has enjoyed plenty of pop success in the past, but American Beauty / American Psycho also showcases some of their punk energy and origins. It’s a welcome reintroduction, and helps to make this album the best of both worlds in a way: Whether you’re a fan of Take This To Your Grave or Save Rock And Roll, Fall Out Boy’s newest album can appeal to many of the things you liked best about the band. American Beauty / American Psycho is one of Fall Out Boy’s most consistent and quality albums to date, and one that lives up to the hype. “Irresistible” – The album opens with an instant hook of catchy horns and plenty of energy. It will be hard not to chant along to the repeated motif of “I love the way you hurt me” and the sing-along “yeah”s. The whole song is uptempo and, appropriately, irresistible. “American Beauty/American Psycho” – This was the second single for the record, released back in November. 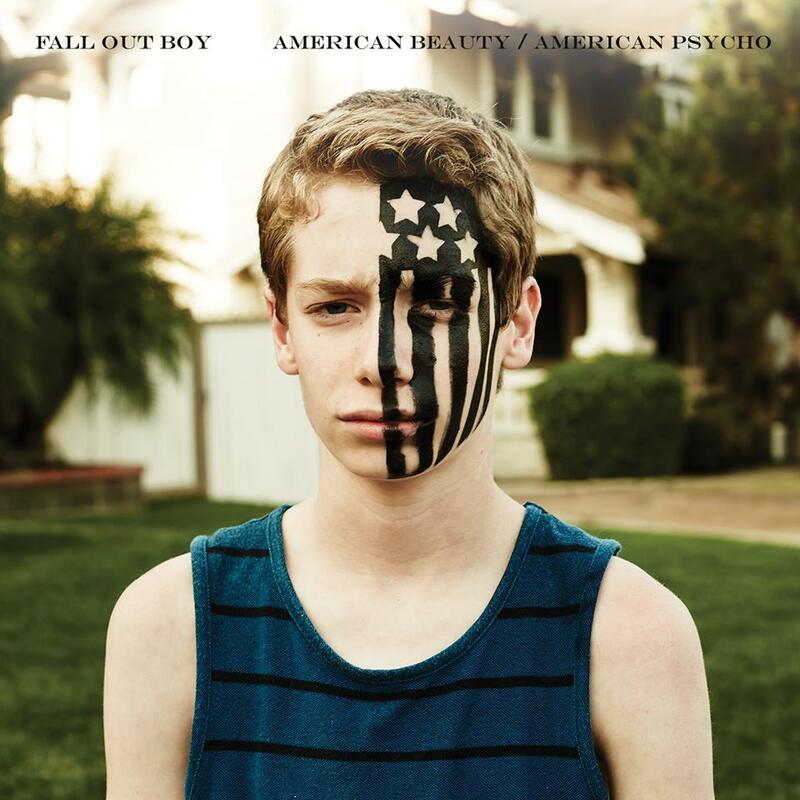 “American Beauty/American Psycho” is the most punk and energetic song on the album, harkening back to Fall Out Boy’s origins and early influences. The song is punchy, rallying, and impossible not to shout along to. It’s a deserving title track and a definite highlight on the album. “Centuries” – This was the album’s lead single, released way back in September. It sounds epic and grand, a larger-than-life anthem that should be remembered for decades to come. “Centuries” also features a sample of the “do do do do” refrain from Suzanne Vega’s ’80s hit, “Tom’s Diner” – somehow, it works perfectly. “The Kids Aren’t Alright” – This track slows it down a bit with a lovely strumming guitar and whistling melody. The pre-chorus brings up the tension a little, preparing you for the booming chorus. “The Kids Aren’t Alright” isn’t quite a ballad; it’s more of a somber mid-tempo with muted energy. “Uma Thurman” – Here’s another highlight, and the planned 3rd single for the album. “Uma Thurman” starts with a big pop bang, only to be offset by the unexpected yet perfect Munsters sample. This is one of the best samples of any track ever, and is part of what makes “Uma Thurman” so great and different. The song continues on with an exotic beat and references to actress Uma Thurmans’s dancing in Pulp Fiction. Overall, it’s a dynamic song with plenty of little layers to captivate your mind. “Jet Pack Blues” – This song has a certain darkness at first, and paints a picture of a rainy day and a sad breakup scene. The line “She’s singing baby come home in a melody of tears, while the rhythm of the rain keeps time” captures the mood, but cries of “I remember!” show the protagonist’s regret. “Fourth Of July” – The 8th track sounds like summer and nostalgia, the sad fate of young love that was like “fireworks setting off too soon.” It’s a painful look back on someone he thought he wouldn’t miss, but it seems that he’s stuck in that past July of explosive summer love. “Favorite Record” – This one may be even more nostalgic. It’s very repetitive, with repeated mentions that “we danced, we danced” and “we drove, we drove.” But the song is great for any music lover, and the rather meta theme of the girl being “the song stuck in my head,” that he “played again and again.” “Favorite Record” ends up being an unexpected highlight on American Beauty/American Psycho. “Immortals” – We first heard this in October thanks to Disney’s Big Hero 6. The Asian flute give the song an exotic atmosphere, but beyond that it’s a fairly straightforward pop rock anthem. “Immortals” gets better with each listen, and before you know it you’ll be singing along. “Twin Skeleton’s (Hotel In NYC)” – The album closer is a bit dark, but builds up to be an epic track. It has a haunting “oohhhooohhhooohhh” towards the middle, and it returns in time to end the song. The main atmosphere is not so much that of a New York City hotel, but rather a haunted mansion. “Twin Skeleton’s (Hotel In NYC)” isn’t an obvious choice for the closing track, but somehow it works well. You can buy American Beauty/American Psycho on iTunes now.